identify any challenges, and find solutions together. LOS BAÑOS, Philippines—Several research projects that ensure the long-term sustainable production of rice, one of the world's most important food crops, received financial support from the Biotechnology and Biological Sciences Research Council (BBSRC). 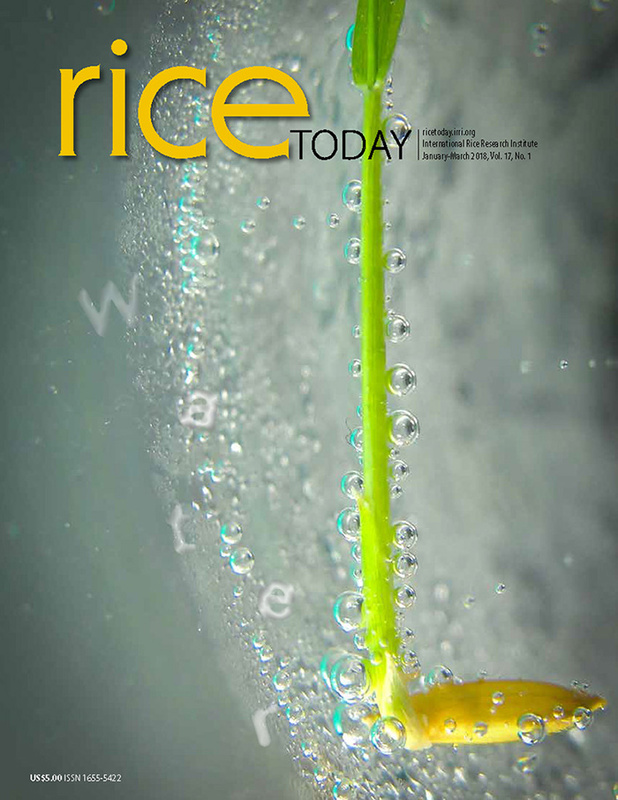 The projects cover a wide range of important issues including rice quality; resource use and photosynthetic efficiency; resilience to pests, diseases, and environmental stresses; and novel research tool and technology development. The 13 projects, led by top UK bioscience researchers and institutions in collaboration with research teams in China, the Philippines, Thailand, and Vietnam, were announced at the grant-holders kick-off meeting at the International Rice Research Institute (IRRI) on 9-11 January. These will be funded through the Newton Fund's Sustainable Rice Programme. In a press statement, Professor Melanie Welham, chief executive of BBSRC emphasized the critical importance of regional cooperation in addressing food security in the face of a changing world climate. This initiative brought funders from all countries together and is priming partnerships across this region that could lead to similarly important future research collaborations, according to Welham. "Congratulations to all the project participants. It was a very competitive call for proposals,” Tim Willis, associate director of BBSRC said to around 70 delegates from IRRI and various national research institutes at the meeting. “In the context of meeting the global sustainable development goals, it is crucial to accelerate science and explore possible innovations from sharing of resources, data, and information,” Achim Dobermann, Rothamsted Research director and former deputy director general for research at IRRI, said through a video conference call. BBSRC is one of seven research councils that work together as Research Councils UK and provides a range of funding opportunities to enable individuals and groups to pursue world-class bioscience research. In 2015-16, it invested £473M in world-class bioscience, people and research infrastructure.